Also known as: DVI extender single CAT5, Media center extender, Set-top box extender, cat6 DVI-D monitor extender, remote digital DVI monitor, high definition 1080p extender, extend HDTV video, balun, dvi over cat6 protocol. The XTENDEX® Mini DVI Extender transmits digital DVI video signals up to 100 feet away from a DVI source over a single CAT5/6/7 cable. 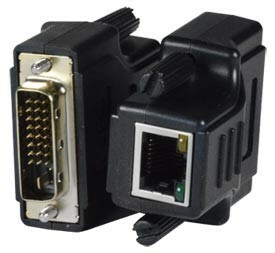 Each video extender consists of two interchangeable units that can be connected to a single link digital DVI source and a DVI display. 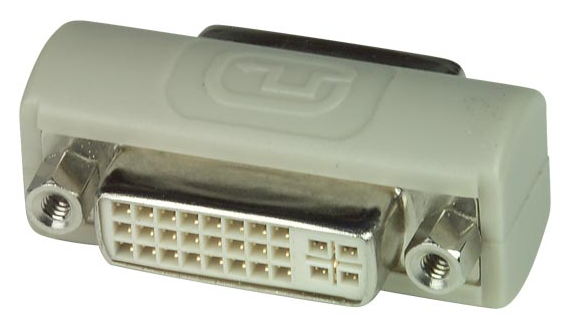 One male DVI-D connector for connecting to a video source or display. 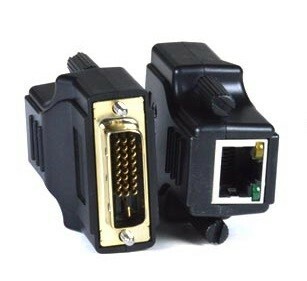 One female RJ45 connector for sending/receiving high definition video.